Technology Yesterday, Today, and Tomorrow! This weekend, while having a family bonding time, I day dreamed and visited memory lane. I day dreamed about years past, when I was growing up, until I ended up growing old. I compared what my son has these day, to what I had when I was his age. The comparison is so great. Especially when it comes to technology. 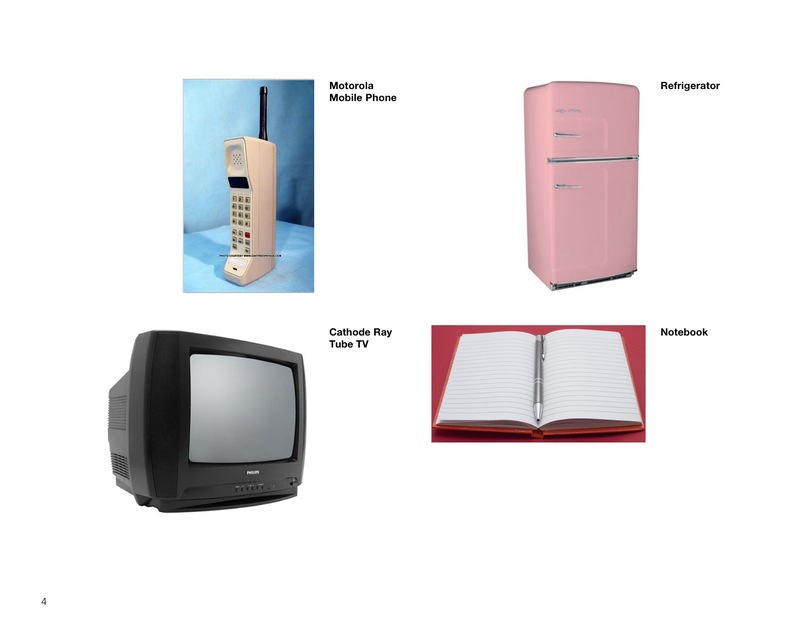 As I was growing up in the 80’s, your household was considered well off, if you had a CRT Television, a refrigerator, and a mobile phone. We all had those, and during those times I thought that this was the state of the art, and it would take half a decade for this type of appliances to be obsolete. Boy, was I wrong. Just to illustrate what we had then, are some photos for comparison. The mobile phone then, was the military type mobile phone. It was chunky, cumbersome, and heavy, and the only function it had then, was to make and receive phone calls. Our refrigerator was the old type fridge, that kept food fresh, made ice, and made drinks cold. The television during those times was the Cathode Ray Tube type of television, you could watch your favorite television programs. Then in school, we had a pen and notebook, for taking down notes in class. Now, technology has again upgraded itself again. 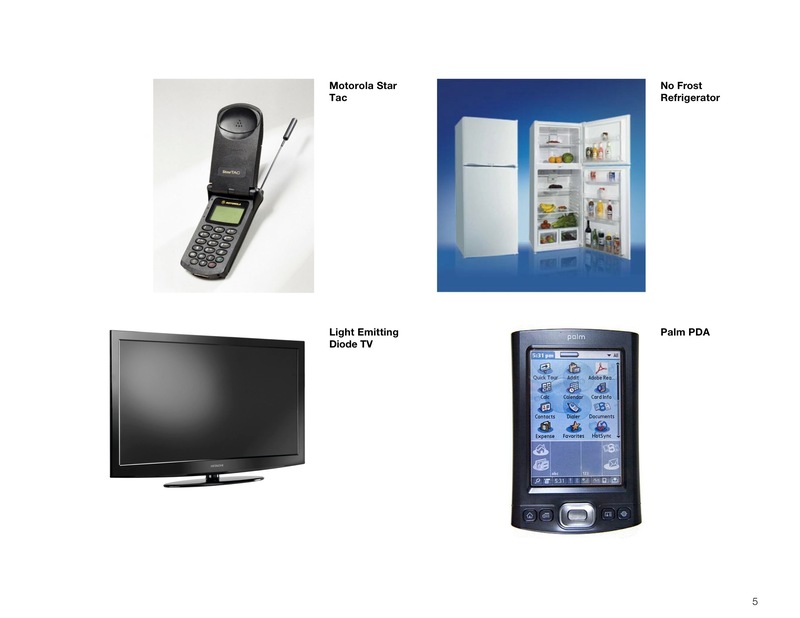 Offering us all the comforts of our past appliances, plus more. The mobile phones has become lighter, more compact, and more feature laden. You can not only make and receive calls, send and receive SMS (Short Messaging System), you can also play games, send and receive e-mails, browse the internet, it also reminds you of appointments, has an alarm clock, makes you connect with friends through social media such as Facebook, Twitter, Instagram, etc., it also saves you a ton of money through internet telephony services, such as Skype, iMessage, Viber, What’s App, etc. Then Smart fridge arrived, offering to keep your food fresh, make ice, make your drinks cold, energy efficiency through inverter technology, add vitamins and ions to your food to keep you healthy, show you the temperature for the day, inform you of the traffic situation for your commute to work, get the latest news, and tell you what groceries you need to buy to replenish the stock on your fridge. 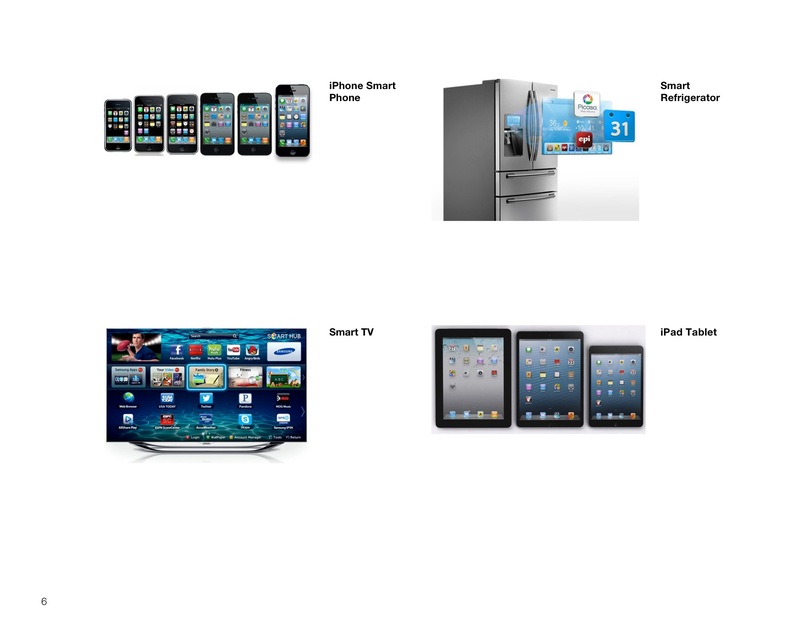 After the Smart fridge, the Smart TV also appeared, giving you more in depth colors, more vibrant sound, is more compact, energy efficient, can connect to the internet, you can check your email, connect to social media, search for information of your favorite shows, and download movies or television shows. The Palm/Palm Pilot PDA has been replaced by the iPad, as the tool of choice for schools. With the iPad, you can jot down notes, play games, has a calculator, take photos, shoot videos, send and receive e-mails, update your status in your social media, connect to the internet, watch movies/shows/videos, listen to music, and play musical instruments. So the comparison of what I used when I was studying then, to what my son is using now in his studies, is such a huge gap. Technology has brought about changes in the lifestyle of the people. Technology is beneficial and a great tool if put in the proper hands, but technology can also be a detrimental and mischievous tool if in the wrong hands. So we must still keep an eye on the use of technology, especially by our kids, and grand kids. Balikbayan grows vegetables in sacks! MANILA, Philippines – There’s an enterprising balikbayan in Brgy. San Pedro, Sta. Rosa, Nueva Ecija who grows vegetables in sacks instead of in plots in the ground. She is Thelma Villaroman Zara who used to work for an aviation company in Anaheim, California. Her duplex house has been attracting a lot of visitors not only from the neighborhood but also from nearby towns. That’s because of the very impressive display of vegetables that are planted in used sacks around the house. Thelma’s house stands on about 2,000 square meters of land. The big space around the house is mostly cemented and is used for drying palay during the dry season. When the area is not used for drying palay it is not really productive so she decided to do something unusual. She planted different kinds of vegetables in used fertilizer sacks. It was Noel Lazaro, a technician of the Ease-West Seed Company, who convinced her to make the place productive by planting in containers ampalaya, eggplant, tomato, hot pepper, upo or bottle gourd, squash, okra and sitao or string beans. Lazaro gave Thelma technical advice on how to go about her gardening project and introduced to her the ready-to-plant Farm Ready seedlings produced by East-West Seed. Farm Ready seedlings made it a lot easier for her to grow the vegetables because it eliminated the tedious process of sowing and growing the seedlings. If one is not proficient in germinating seedlings, it could result in total failure because the young seedlings are susceptible to fungal diseases if they are not protected from disease organisms. Thelma planted the following seedlings: Two trays of Diamante Max (Dmax) tomato seedlings, two trays of Django and Red Hot pepper, two trays of Morena eggplant, 150 Galaxy ampalaya, and the rest were directly-seeded like the okra, string beans, squash and upo. The growing medium consisted of garden soil, dried carabao manure and carbonized rice hull with the ratio of 60 parts garden soil, 20 parts carabao manure and 20 parts carbonized rice hull. All materials used were sourced locally. She bought 1,500 empty fertilizer sacks at P2.50 per sack which she says she can use for two crop cycles. She bought the “bugsok” trellis from Bocaue, Bulacan and the blue strings and GI wire from the local store. Today, her vegetable plants are very productive, giving her substantial income She said she was able to sell to her neighbors and at the local market at very good prices. Her tomatoes sold for P40 per kilo, eggplant at P30 per kilo, chili hot pepper at P150 per kilo, squash at P15 per kilo and sitao at P40 per kilo. Thelma says that planting vegetables right in her home gives her not just financial reward but also psychic income. Every day she and her family eat clean and healthy vegetables freshly picked from her backyard. For her, tending the vegetable garden every morning is very therapeutic. It gives her good exercise and a wonderful feeling of self-satisfaction. Her gardening, she says, is a far cry from her stressful job in the US where she used to work as a technician of Aviation Sundstrand, a company that manufactures airplane parts in Anaheim, California. She also loves entertaining guests and visitors who go to her house every day to see the vegetables, usually asking for some advice on home gardening. Farming is such an enjoyable experience for her that she decided to stay in the country for good. She plans to develop a two-hectare land she inherited from her parents where she will grow vegetables from East-West Seed. 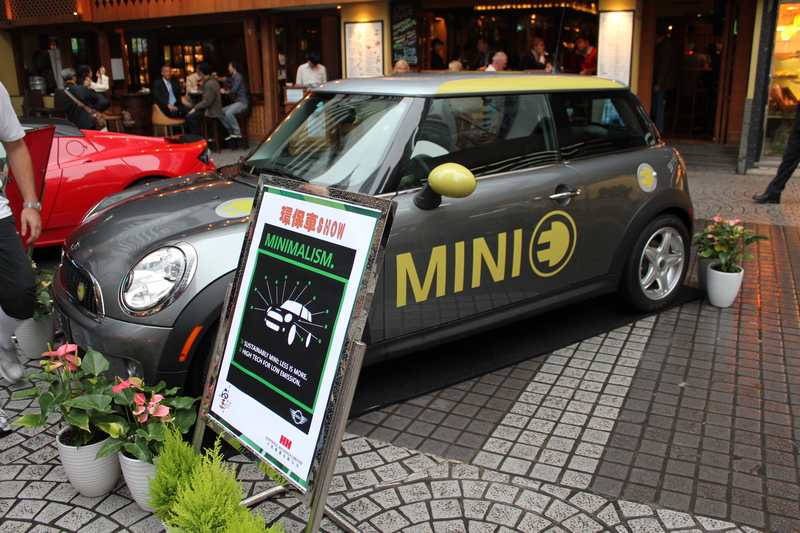 MANILA, Philippines (PNA) – The Aquino administration plans to offer tax perks and exemption from the ban on new franchises to transportation companies that shift from gas-fed vehicles to electric vehicles (EVs). In a statement, Transportation and Communications Undersecretary Aristotle B. Batuhan said the government is eyeing to provide exemptions from the ban on new franchises, along with tax breaks and government loans for electric vehicles. Batuhan said the incentives would be offered to manufacturers and operators of electric vehicles to encourage the use of emission-free transports. “These perks are needed to entice bus operators to shell out an extra P2-3 million to purchase electric vehicles instead of another gas-guzzling mode,” he said. Despite the standing moratorium against new issuances, Batuhan said the DOTC plans to grant an initial limited number of electric bus franchise in Metro Manila. “Such special franchises will be auctioned to interested operators and may allow these electric buses to ply commuter-packed roads like EDSA,” he said. Batuhan said the government move to promote EVs was due to the worrisome roadside air quality in Metro Manila, Cebu, Davao and in all other major cities in the country. “EVs is the only way forward in our mass transit system to address the appalling roadside air quality in the metropolis,” Batuhan said. 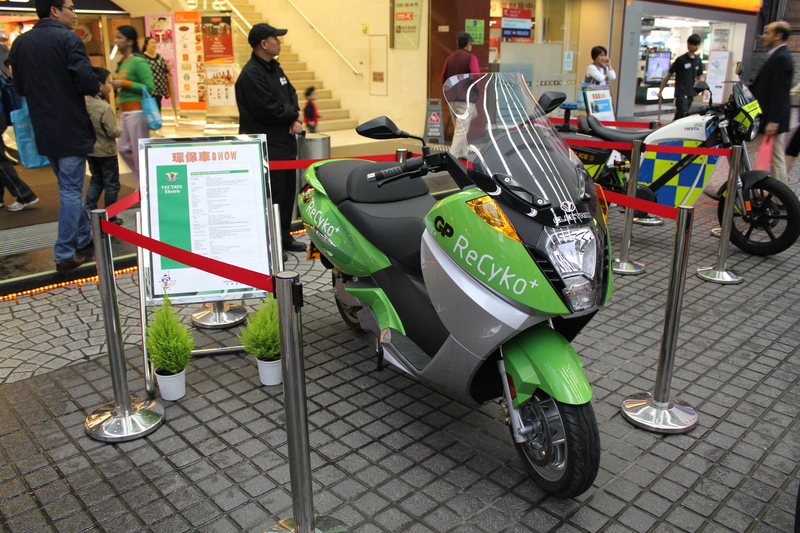 Earlier, the Asian Development Bank (ADB) offered to finance the development of electric vehicles in the country, starting with tricycles followed by cars and jeepneys. 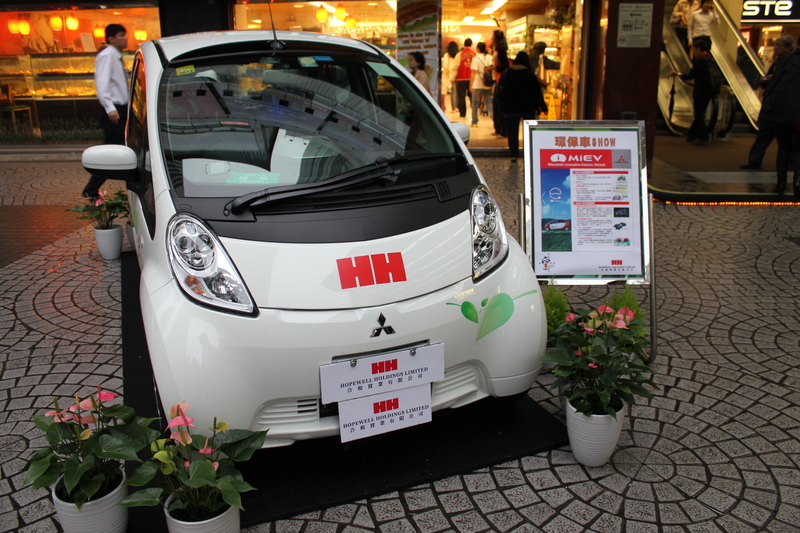 E-vehicles run on pure electricity supplied by rechargeable automotive batteries. They are not noisy and they do not emit fumes. They can be charged overnight for about eight hours on an ordinary wall outlet, much like charging a cell phone, and run the next day for a minimum of 65 kilometers. They can comfortably seat 14 passengers and run at a maximum speed of 40km per hour. We have been hearing about them in the news lately, especially with all the oil crisis, oil spills, and oil disasters that we have been hearing in the news about. But has anyone seen them before? 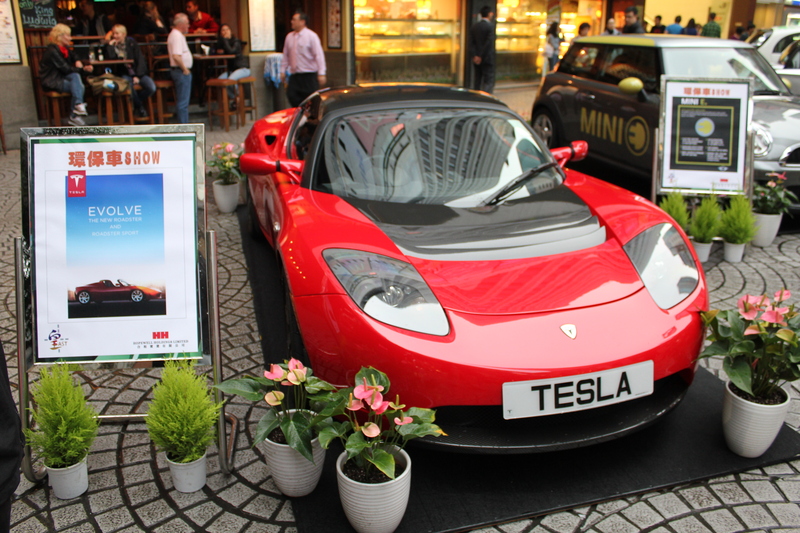 Well I recently chanced upon to be in Hopewell Centre in Queen’s Road East, Wan Chai, where they were exhibiting the latest electric vehicles to hit the market. 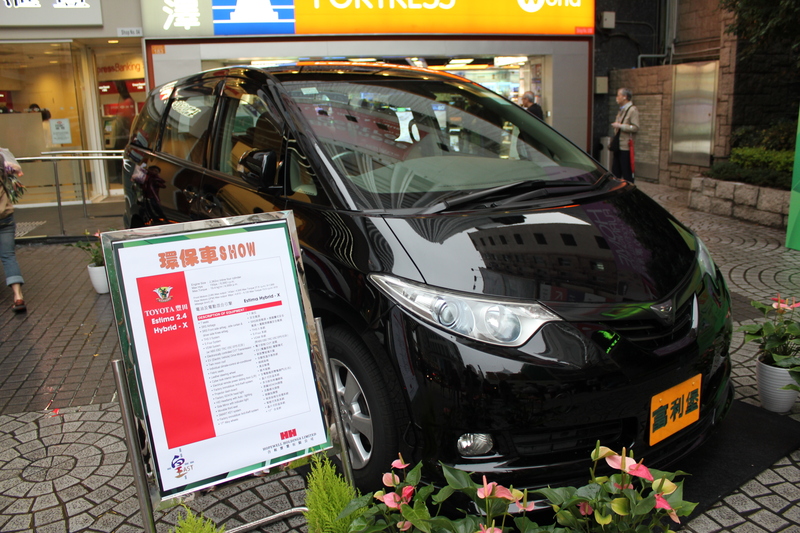 Hong Kong even has it’s own electric car to be proud of, which is the My Car! well. 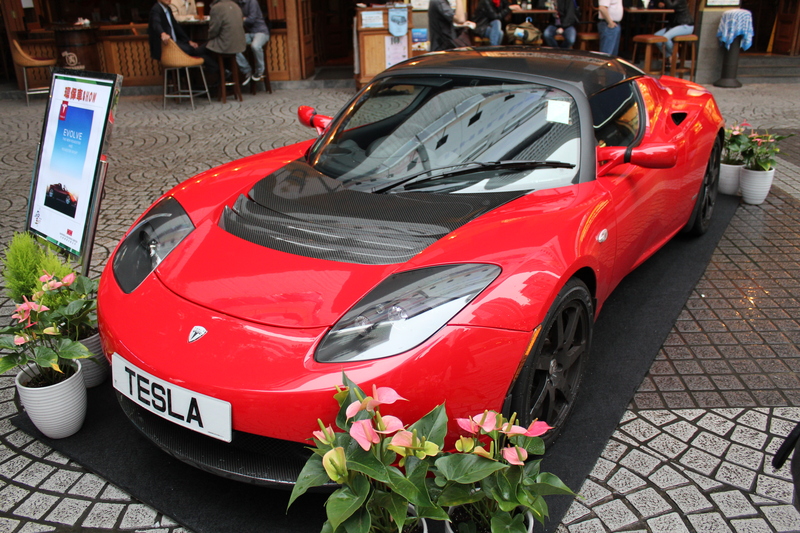 Just see the Tesla Electric Super Car, and if you see me driving it, will you still call me a green geek? It pays not only to be green, it is also economical, and helps reduce carbon emissions. 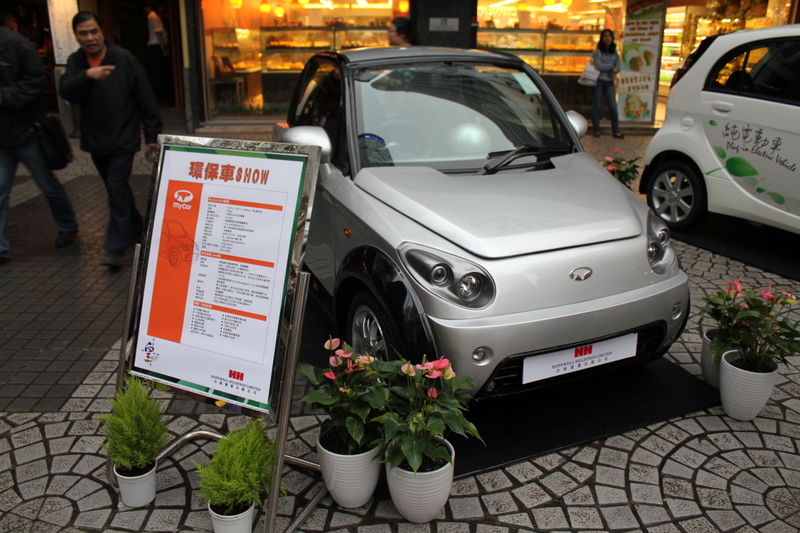 I just do hope that more people drive these green electric vehicles, and that the car manufacturers churn out more designs of these lovely green electric vehicles. 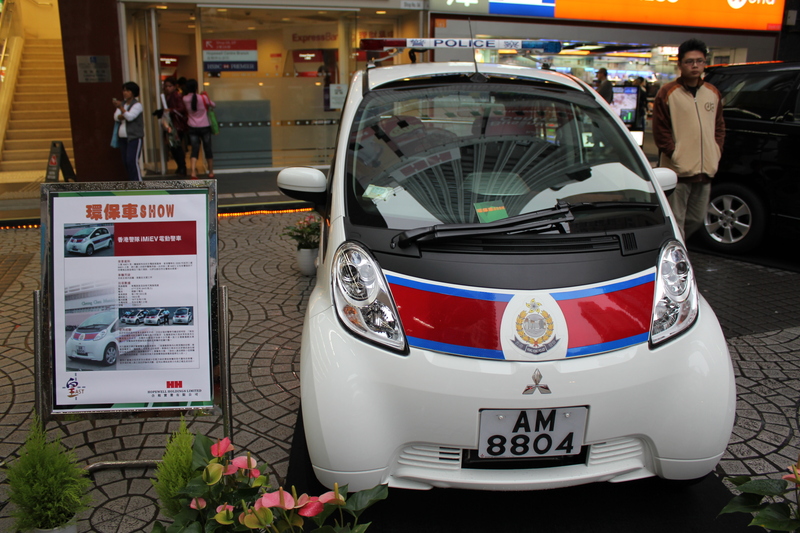 Even the Hong Kong Police Force is becoming green, just see the new set of vehicles they have. 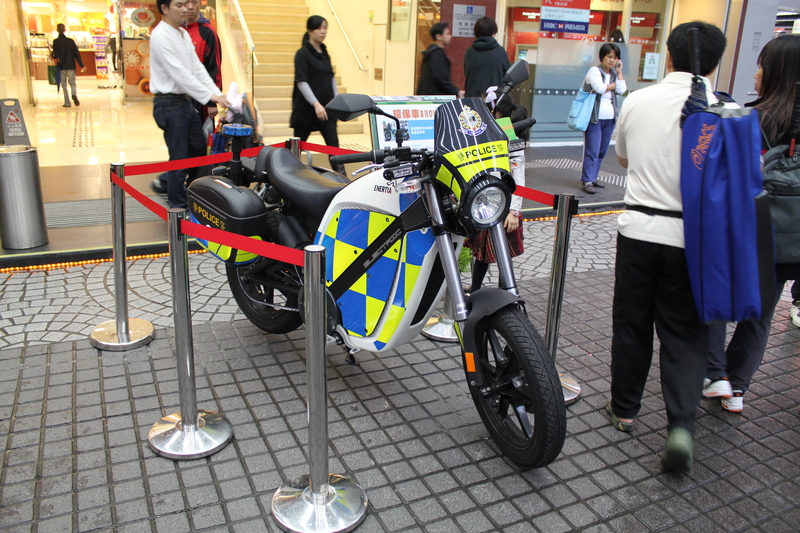 Plus also see the other electric vehicles on display. “Remember you can see, you can take pictures, but please do not touch them,” as what the guards say.